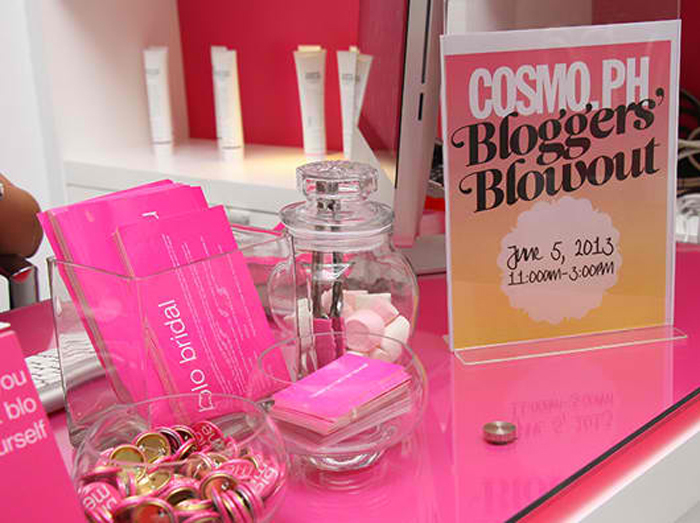 Cosmo.ph x Blo Bar Bloggers Blowout! Taken in Tondo yo! This was immediately after my meeting with Freego, outside their office hehe. Bilang waley na time jan nalang nagpic. Anyway, wore this preppy number because I wanted a business casual look lang. Yun lng. Simple noh? Haha. Okay, went for plaid & plaid! How awesome is my Suiteblanco bag? Bida sha palagi! It even got featured on Cosmo.ph website which I'll share later. Also love the personalized bracelet Silverworks sent. Now I'm not scared to get lost. Labo haha. Anyway, here are more photos from that day! I registered upon arrival and I was immediately escorted to my assigned seat and my assigned blo-er. Corny haha. I was given a mini book where there are illustrations and explanations of the different hairstyles you could avail. I picked Holly Would coz I wanted volume & curls! 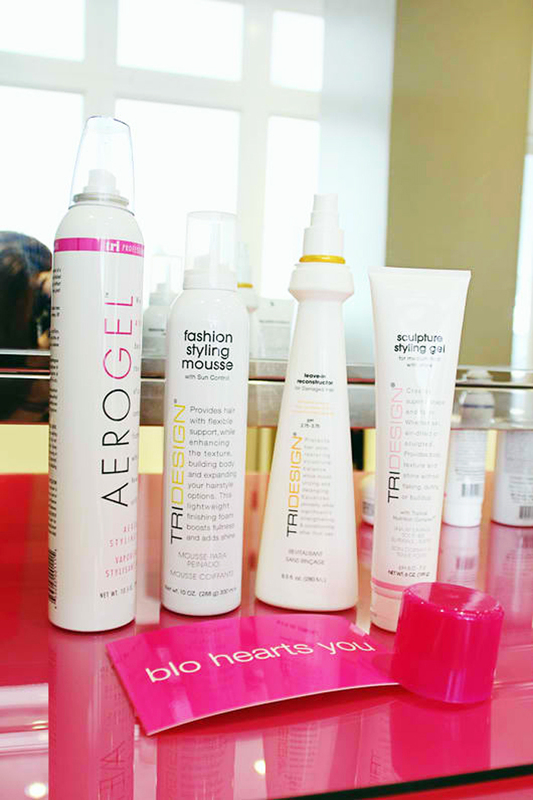 They shampooed me first and then it's Blo time! Alyssa loved her new 'do! Blo Bar might be a new concept here in Manila but it sure is a hit among the ladies! It is not a salon ha. I repeat, it is not a salon. So don't go there asking for a haircut or a manicure. They basically just do professional hairstyling. If you have an event, shoot, date, you can run to Blo Bar and have an instant makeover for just P500! They could also do more complicated styles for a higher fee, just don't forget to bring an inspiration photo! :) Oh, did I mention they also do home service and offer party packages? Yuuuup. A fun way to bond with your girlfriends! Danika and me! Thanks Blo Bar for our new hair hehe and Island Rose for the beautiful flowers! 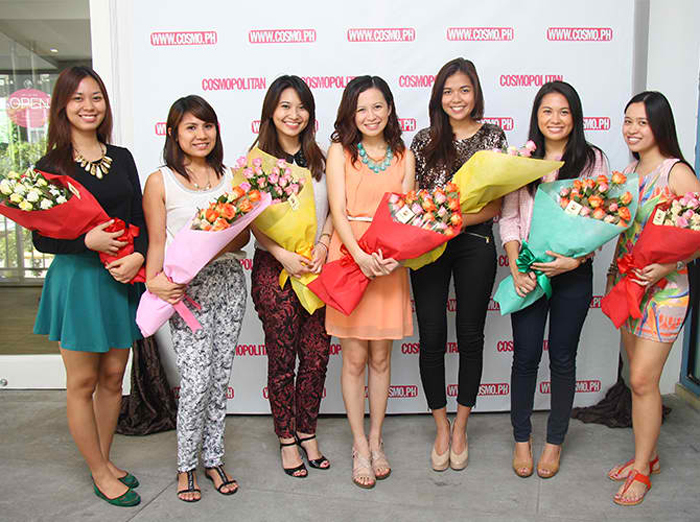 I think it's perfect and fitting how during our Blo makeover, Cosmo.ph introduced to us their newly revamped site! 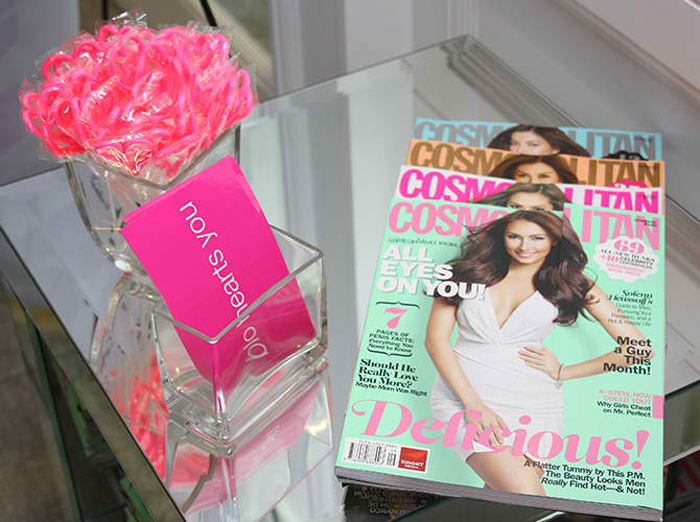 The Cosmo team had a one on one with the bloggers and they personally showed us how to navigate the site. Sweet! Love the new, clean, uncluttered look of Cosmo.ph! It's also super easy to navigate. They have segregated topics into sections which you can browse according to your liking! Read the hottest articles under beauty, fashion, fitness, entertainment, etc. Plus, they update daily! Woot. Thanks again Cosmo.ph and Blo Bar for the fun afternoon! It was nice meeting all of you! Cosmo team: Publishing Assistant Sam Uy, Associate Publishers Tiffany Santosand Risa De Sagun, Cosmo.ph Managing Editor Jillian Gatcheco, Cosmo.ph Editorial Assistants Sandra Pineda and Gianna Banzon, and Group Publisher Christine Ongteco. Here's my "Purse Paparazzi" feature on Cosmo.ph! A great sense of fashion styles.